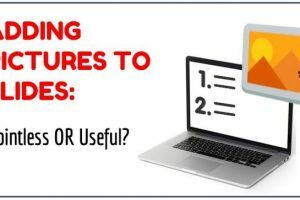 What is the usual shape of a picture on a PowerPoint slide? That is why, when you add a rectangular photo on a slide, it doesn’t get much attention. When you start including such stylish shapes to your slides, your deck begins to look unique and interesting. Stunning. Isn’t it? That is the power of these stylish shapes. When your photos look stylish, your slide layouts begin to look attractive. Imagine these layouts with the same old boring rectangular photos. How do you change the shape of your photos in PowerPoint? The technique is surprisingly simple. Select a picture. Go to the ‘Format’ tab in PowerPoint ribbon. On the far right, inside the ‘Size’ group you will find the ‘Crop’ tool as shown in the screenshot below. Click on the small arrow at the bottom of the button to open up a drop down menu. Then, click on ‘Crop to shape’ option. Now, choose the shape in which you want to crop the photo. If you select ‘Parallelogram’ shape under ‘Basic shapes’, your photo gets cropped to the ‘Parallelogram’ shape. You can adjust the angles of the shape to suit your specific requirements, by moving the yellow handles. You can crop your pictures in any shape you see in the auto shapes menu. Why don’t try cropping one of your photos in PowerPoint, to see how the technique works? You’ll be surprised by the results. Did you like the trick? 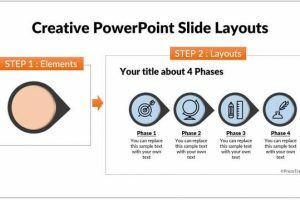 Want to learn more such interesting tricks in PowerPoint? 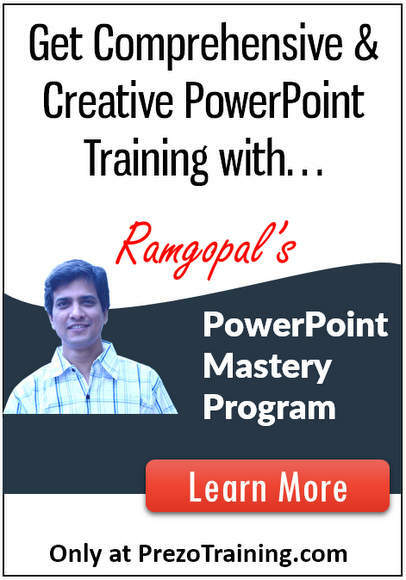 Then, I highly recommend you take a look at our ‘Ramgopal’s PowerPoint Mastery program’. It is the most comprehensive and creative PowerPoint training online for business presenters. I especially invite you to take a look at the ‘PowerPoint Pictures Mastery’ section of the program. 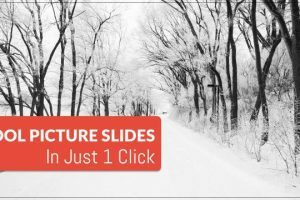 You’ll learn tons of new techniques to make your picture based slides look like a Million dollars in just a few clicks. Why don’t you click on the button below to know more details about the program?